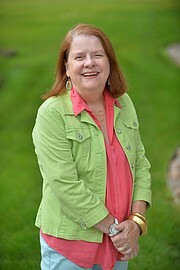 Deb grew up on the East Coast, having lived in Manhattan during her high school years and attending college in Boston. She received her Bachelor of Fine Arts after attending Boston University School of Fine Arts for three years and Massachusetts School of Art for two. A long time resident of Steamboat Springs (with the exception of a brief stint in Hawaii) Deb and her husband Ken have raised two awesome children – there is no better place to raise a family!! When not working, Deb pursues her true passion, painting in water media and working in pique assiette. Even occassionally indulging in the “E” word (Exercise) – there are just too many tempting choices, even for someone who isn’t driven.